Updated for 2015, Just for Fun, is one book in the Britannica Discovery Library Series that is correlated to national curriculum standards. 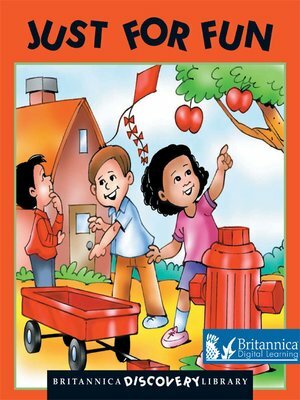 The Britannica Discovery Library is a charming, lavishly illustrated 12-volume set of "concepts and values" books specifically created for young learners ages three to six. Children are introduced to various texts and genres, including rhymes, narratives, puzzles, and riddles. Key vocabulary words are highlighted throughout and defined at the back of each book. The set is ideal for pre-readers and early readers as each volume contains activities to build language, critical thinking, and comprehension skills.